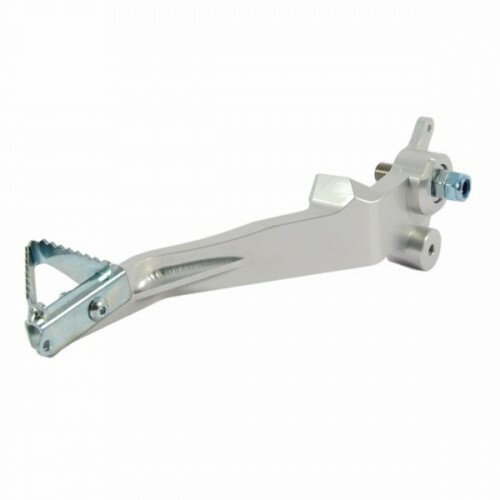 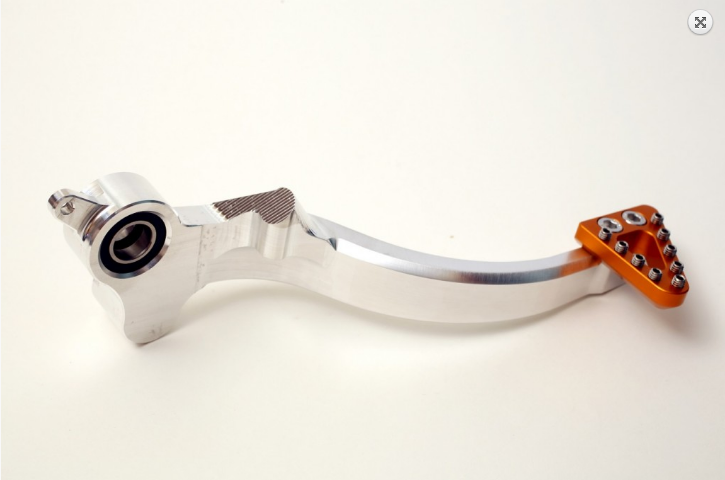 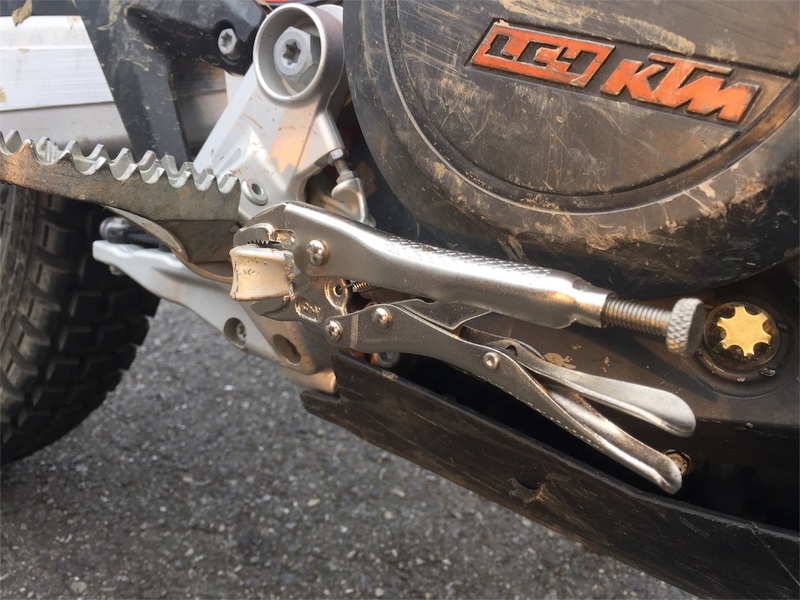 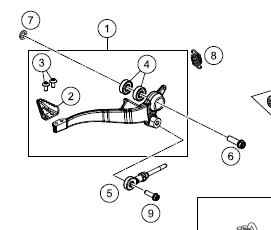 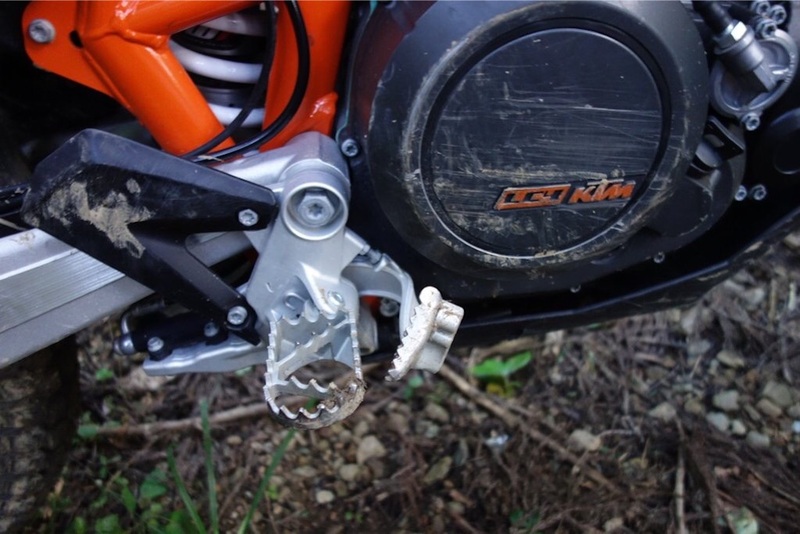 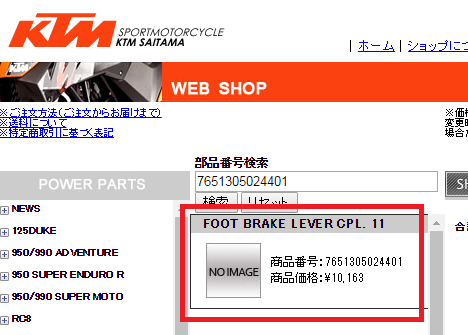 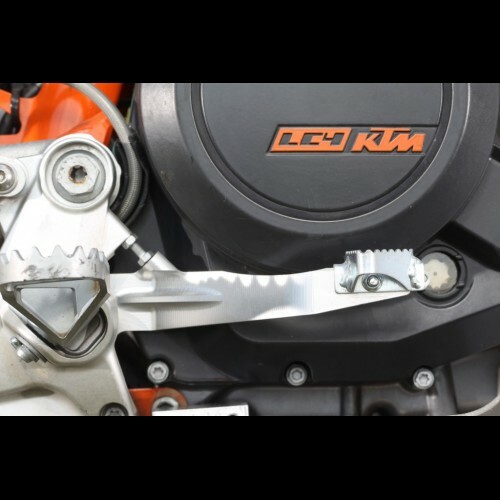 Brake pedal for the KTM 690e/690r and Husqvarna 701 that replaces the stock unit that is known to bend and break easily. 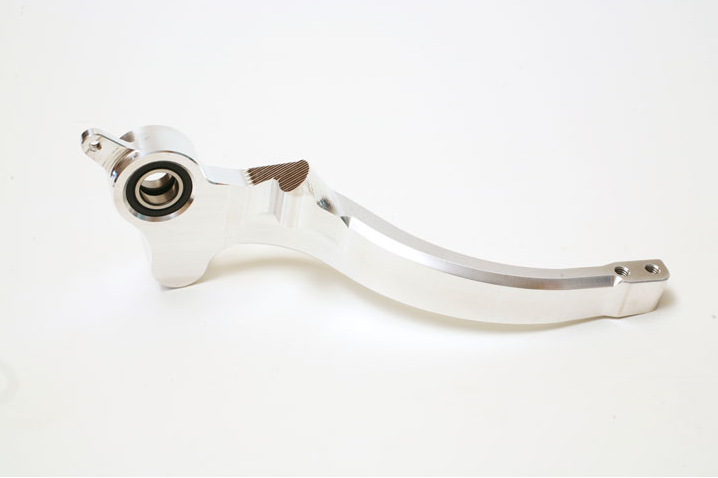 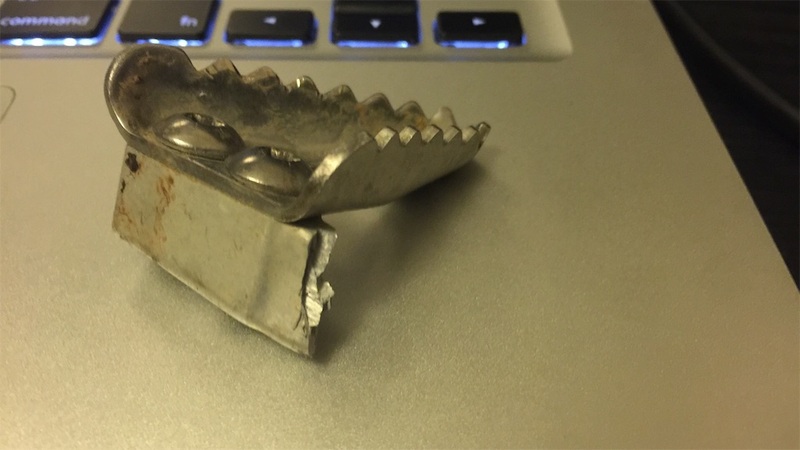 Our pedal is machined from billet aluminum and has a significantly larger cross section. 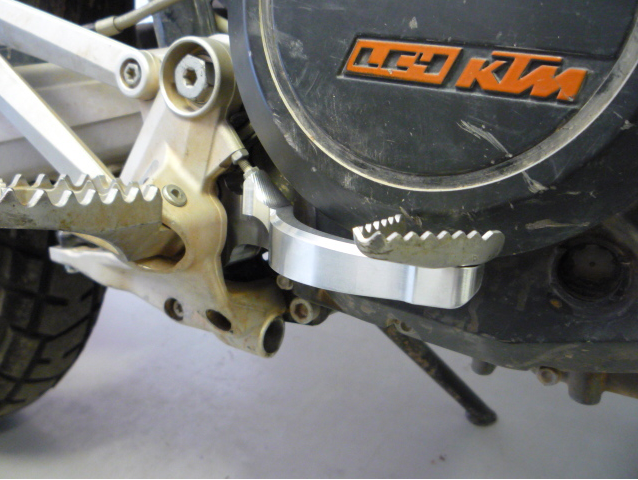 We’ve also replaced the factory pivot bushings with two sealed ball bearings for a smoother action and longer life. 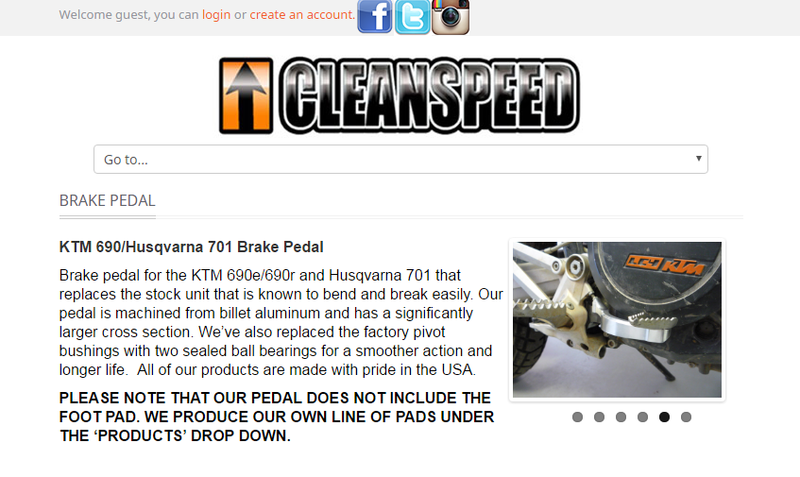 All of our products are made with pride in the USA.